Using ADB sideload, you can easily sideload ROM and mod zip files by executing commands. Follow this tutorial to know how you can sideload zips on Android devices. Android is a powerful platform where a major chunk of smartphone development is being carried on. 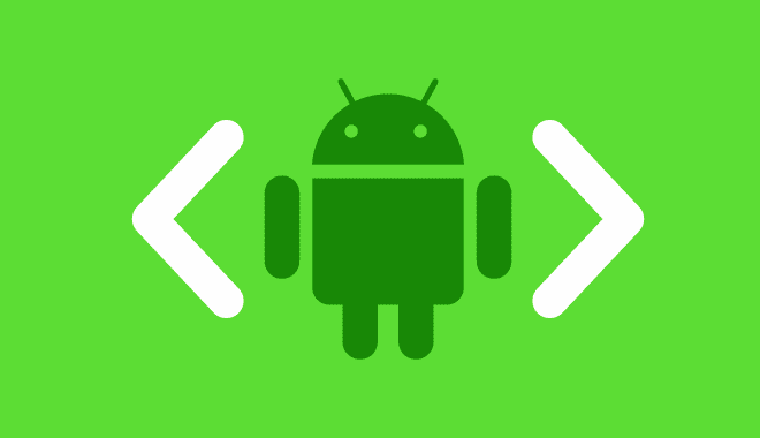 The Android SDK is the kit that is used to develop a bridge between the Android device and the PC to carry on the development. 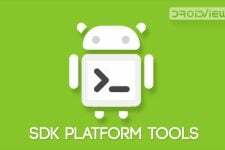 The Android Software Development Kit comes with a variety of tool, of which ADB (Android Debug Bridge) is the most powerful. Most probably every Android user might have used or heard about ADB at least once in his journey with Android. ADB is a versatile command line tool that acts as a bridge between the Android device and the PC allowing data to be transferred. ADB is a very powerful tool which can repair your bricked device and install the necessary apps and mods when you need. However, you cannot use the ADB interface unless you open the gates of your device, which is the USB Debugging found in the Developers options of Android settings. The USB debugging open the port between your device and the ADB interface. The Android Jellybean OS brought new revisions to the ADB and added a new mode called the Sideload mode which can be used to incorporate with the recoveries as well. The ADB sideload is used to install Zip files using the ADB command line, so you can install ROMs and Mods using the ADB. Most of you might find it useless as you can install ROMs from the device itself, however, the Sideload mode is a life saver when it comes to a device with internal memory only and there is no ROM in the device to repair a bricked device. So when your device is bricked and there is no provision to load a ROM to the internal storage of your device, then ADB sideload is the only possible option. Today we will see how to install any Flashable Zip using the ADB Sideload method. Charge your device above 60% battery level to avoid shutdowns during the process. Install proper device drivers on your PC and check if the device is detected. You can find the drivers for your device from our USB driver downloads page. Enable USB Debugging on your phone from Settings> Developer options. If you do not find Developer option under device settings, read the instructions given here. 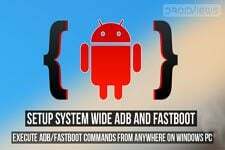 Download ADB and Fastboot Platform-Tools on your computer. Download and extract the ADB files on your PC. Open a command prompt in the ADB folder by right clicking on the mouse in the empty space of the folder while holding the Shift key. In the recovery mode, enter the ADB Sideload menu which will be different for different custom recoveries. Copy the Zip file you want to install on your device to the ADB folder. Start the ADB sideload in your recovery. Now enter the following command in the command prompt. You will see a progress bar in the command prompt indicating that the Zip file is being copied to the device. Once the file is transferred, the Zip is automatically installed on your device. You can reboot your device once the Zip file is installed on your device. That’s it, you can install any flashable Zip file using the ADB sideload mode in case of emergencies. What if one day your just suddenly just wont boot or bricked and you forgot to put it on usb debugging mode. When its still working. Can you still use this adb debugg to revive you phone. Hi Brian, to be able to use ADB your device must communicate with your computer, so ADB can’t help you if your phone is hard-bricked. As for the USB debugging thing, I remember reviving my Nexus 5 (with debugging disabled) using ADB. Will this work without root? hey i bricked my phone, managed booted into twrp custom recovery. i followed the steps here to install a rom but got the error message “error: protocol fault (no status)” can anyone help? could i download the rom to an sd card, put it in my phone and boot it from twrp? bricked my device, then unbricked it, now im able to boot into stock recovery mode, but unable to unlock bootloader again, adb commands wont work, as usb debugging also probably got off, whilst bricking of the device. Iam able to boot into fastboot and stock recovery, my question is, how do i put a zip into my phone to get it back to life.? You have to put the zip file in sd card and put it into your phone and then browse for the specified file. How about without custom recovery? If you flash, your internal storage may be wiped. Try installing the drivers of your phone into your pc. THANK YOU!!! YOU SAVE MY LIFE !!! i did everything….all the files r sent..but it doesnt show receiving notification on scren of my phone,…n aFTER the completion of sendung my phone shows error…wat should i do? Hi, I tried installing an update through adb and the installation fails with the “footer is wrong and signature validation error” msg. Any help? Errr. That is a problem with your rom or zip. Contact your developers. And the installation is stops, the recovery menu on my phone shows up again. I’m really stuck. Please Help!! it says error:more than one device and emulator. It works Thank you soo much..!!!!! ok there’s a cool advice for you, seriously we have the same problem. First step remove battry, second plug charger usb in cp ; dont connect to pc!, third grip hold on usb wire, forth swing the wire then loose grip, fifth look for oven or fire, and place the battery there!1!. LOL life is funny. that’s all ty. Does this process work, if you are on Stock recovery? No. For flashing custom things, you need a custom recovery. Your zip is not official. If you want to flash a custom rom/zip, you will need to have a custom recovery. Extract the zip, open the folder, place the mouse pointer at an empty space inside the folder and then press Shift+right-click with mouse. Then select “Open command window here” and enter the command. My device stops showing up in adb devices the second it try to put it into sideload mode. It shows up when at the recovery screen; just not sideload. Nexus 6 5.1 TWRP. Ideas? Might be a TWRP issue. I had the same issue. Open device manager and install the ADB drivers after you go into adb sideload mode in TWRP. I cant figure any this out been up all night trying someone just needs to make a simple program does it all for you . Looks like the update.zip file your downloaded is corrupt. Re-download it and try again. Finally after a few attempts I figured why don’t I just change the name of the zip file to ‘Blisspop.zip’ and it worked like a charm. I’ve been through several forums and tut’s on how to sideload via adb and have yet to see any warnings about syntax inside the command window when attempting to use adb. This is probably because the people who are writing these instructions are so familiar with the procedure and perhaps even working inside a command terminal window that they forget that when a beginner is trying to follow instructions for a tutorial that incorporates a command terminal, syntax is not just important, it’s mandatory. Hope this helps anyone else who stumbles across this thread. I think I am going to copy and paste this to one or two more. hi there. so while DEVELOPER MODE is ON and my phone is currently unlocked without an operating system, im pretty sure USB Debugging is off, and I cannot get into the phone as there is no operating system. im stuck between Reboot Recovery (what ive been using) and Reboot to Bootloader. When I go into Recovery, it says i can install a zip from a sideload. but my computer wont recognize the device is attached to it. I have a Nexus 4, with no OS and debugging turned off : ( help! Follow the above guide to every bit and you will be able to revive your N4. WHEN IT IS IN RECOVERY MODE IT CANNOT CONNECT TO PC VIA USB CABLE HOW CAN I CONNECT IN RECOVERY MODE FOR INSTALLING NEW ROM?? ?